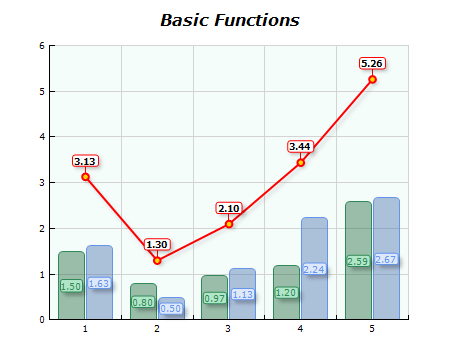 Nevron Chart basic functions include: Add, Subtract, Multiply, Divide, High and Low. The two bar series are used as data sources (arguments) for the functions. The line series presents the result of the currently selected function.